If you are here for my giveaway, click here. Only 15 more days to enter! 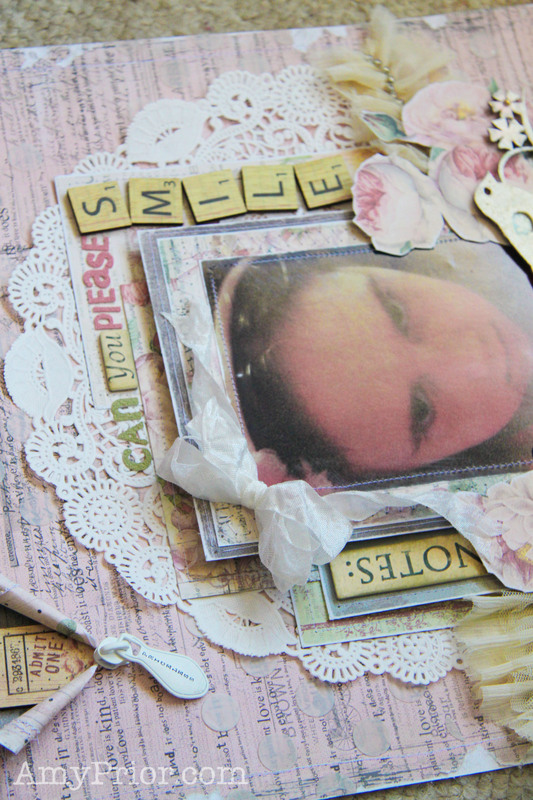 To create this layout, I have used various elements from the Prima Marketing Tea Thyme Collection. 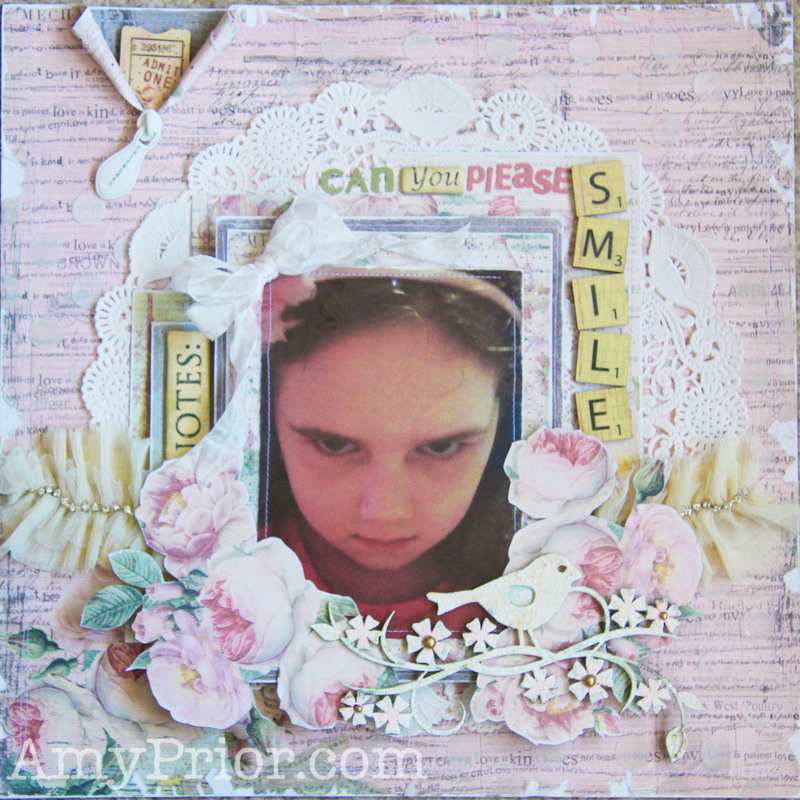 I just adore this collection of whimsy pretty patterns, I mean who doesn’t? 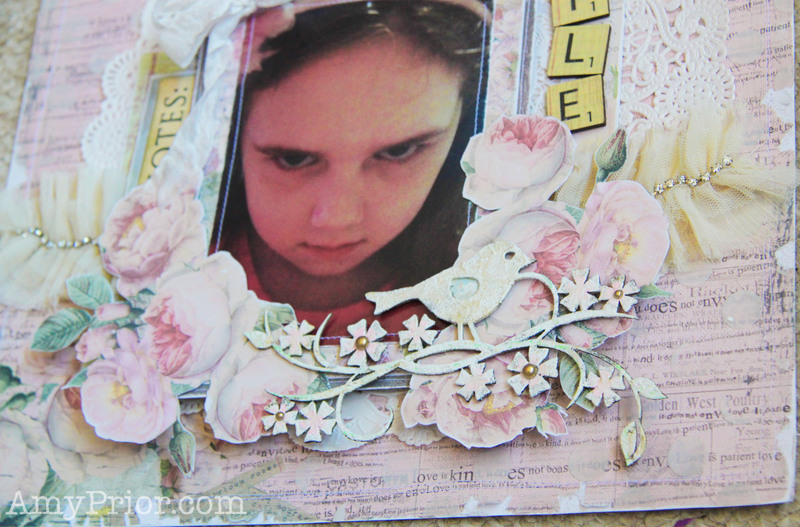 Girly girl lines are always a huge fave of mine and I especially love the flowers used on this collection. The background paper I chose was already so perfect however I wanted to add more texture using a stencil and some machine stitching. I have simply used some Texture Paste with the Donna Downey Prima Stencil to create the most subtle effect. The edges have been distressed a lot using a nail file. 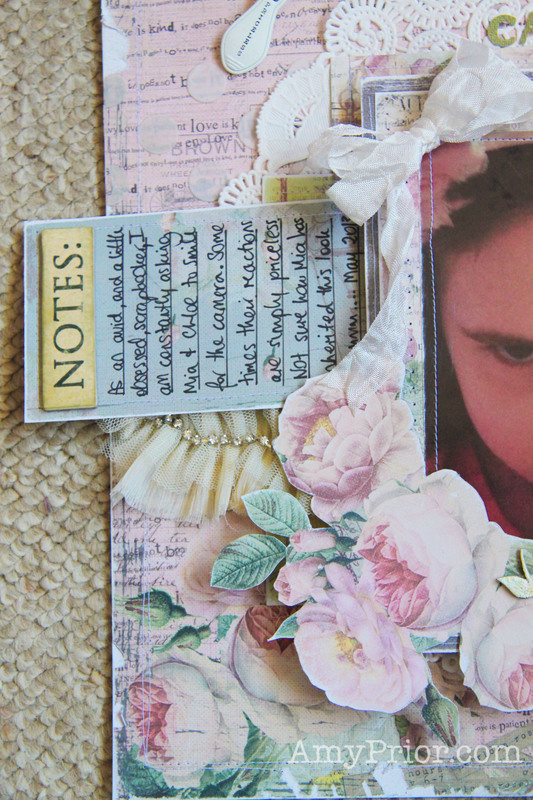 The hidden journalling outlines the story of this too cute photo and is nestled under a gorgeous Satin Seam Binding Bow. 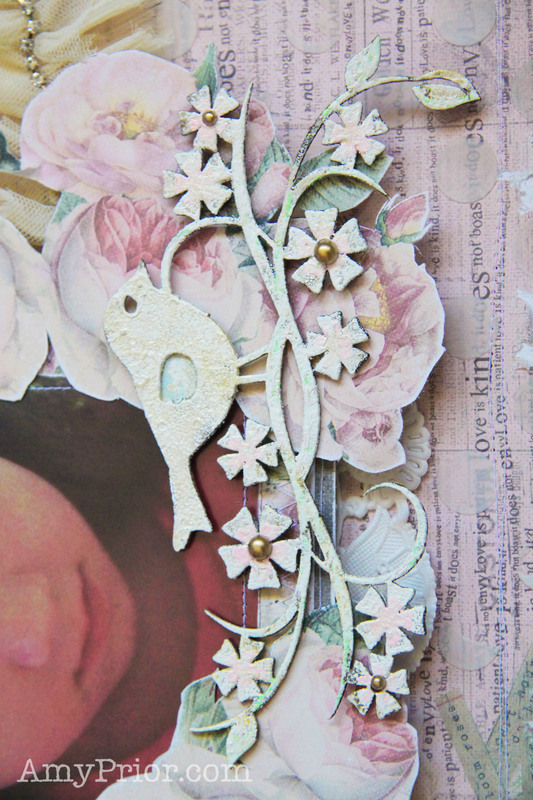 The chipboard bird is, of course, from A2Z Scraplets and has been embossed using WOW Embossing Powders in 4 different colours and then finished off with white embossing powder followed by some Lindys Stamp Gang Starburst Stain Spray. The textured effect was created by simply sponging on some Gesso to prime the chipboard before I applied any other products. Flourish with a Bling pearls finished off the flower centres just perfectly! Well that is it from me today as I go off to finish cleaning up my house from the lovely week that was. Until next time, happy scrapping!